Emergency crews respond after a substance was released on a CTA bus near Nagle and Higgins on Chicago's Far Northwest Side on Oct. 28, 2015. 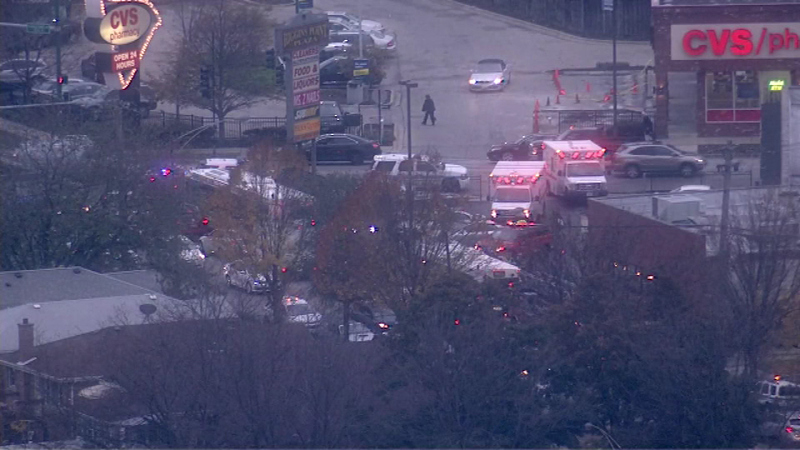 CHICAGO (WLS) -- Emergency crews responded after a substance was released on a CTA bus near Nagle and Higgins on Chicago's Far Northwest Side. About a dozen teens were evaluated at the scene. Eight passengers and the driver were transported to local hospitals, officials said. Eight others refused treatment at the scene. Officials said there were no life-threatening injuries.